I am not an historian. My knowledge of geography is also quite paltry. However, the present offering at Windfall Theatre still intrigued me. The story is universal; we can see the same forces and conflicts going on here in many parts of the world in some form ad infinitum. 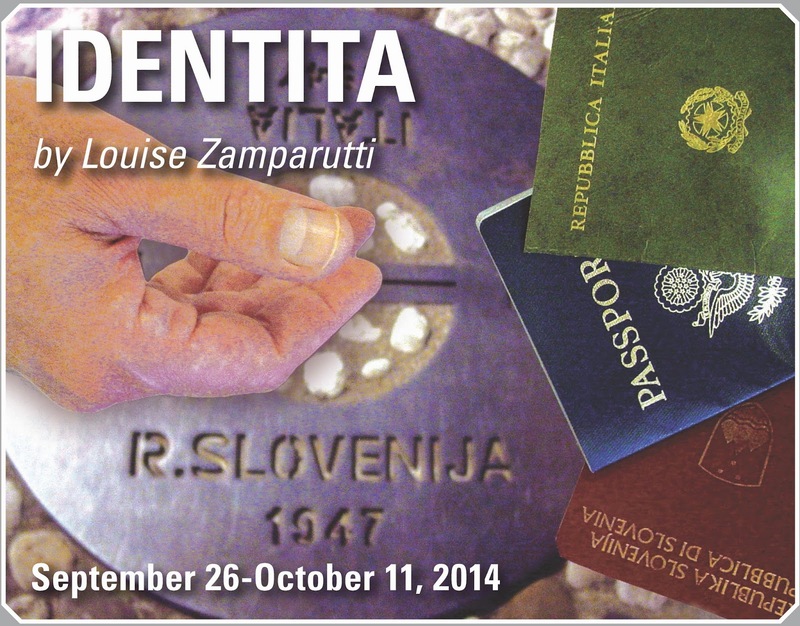 The play by Louise Zamparutti, a local playwright who teaches at UWM, is entitled “Identita,” and identity is its subject. Set in a small village on the border between Slovenia and Italy, it traces a family torn apart by WWII and the various allegiances espoused by different members in that family. The story is told through the voice of a young American of Italian heritage who returns to the nation of his birth after 20 years to attend his father’s funeral. He encounters many surprises and discovers a past that he was totally unaware of. We have many expressions around the subject of identity. Someone is trying to “find himself.” “He’s not himself today.” “You’re not the person I thought you were.” One’s identity consists of one’s genetic heritage, one’s knowledge and experiences and talents, one’s self-concept. It is formed over time and is changed and shaped as we live our lives. And yet, I often hear people say that “People don’t change; they are who they are.” To simplify, perhaps one’s identity is that unique mix that constitutes each person’s essence. Upon his arrival, Joe Picchetti, very well cast as Josh, the young American, comes upon a small coffee shop, run by Julia. Marion Araujo, with her soulful face and serene wisdom, is an oasis for Josh as he encounters the turmoil among his relatives. He returns to her for solace and understanding whenever he runs into an obstacle on his journey. During WWII, most of the countries invaded by the Nazis formed resistance units. In many instances, they were poorly organized and not very effective. As is true in any diverse group, there were disagreements as to how to handle the Germans. Resist or comply? Which group to join? How to best resist? 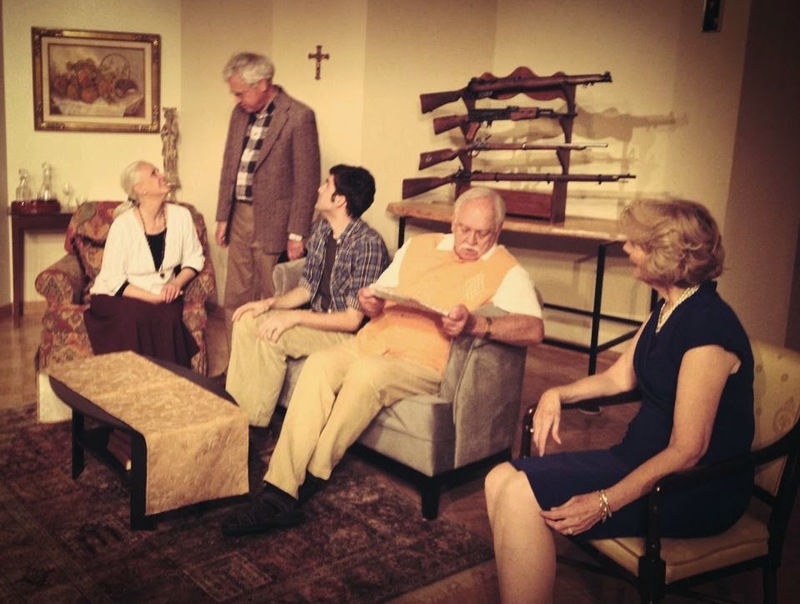 Josh meets his great-aunt Vida and her husband Aldo, a couple of modest means and fierce loyalties to the past Italian resistance movement, and his great- uncle Fabio, Vida’s brother, and his snobby, pushy wife Paola, a couple of substantial means and some bitter feelings toward Vida and Aldo. Josh is caught between them at times as he tries to gather material about his father and return to America unscathed. What struck me most about this story is how quickly we rigidify, how judgmental and unforgiving and divisive we become, adopting the attitude of “If you disagree with me, you must be wrong.” This lack of humility, this lack of effort to try to understand differences probably accounts for many a war. It almost makes me despair that humans will ever begin to live together peaceably. Christine Horgen is powerful as Vida; Charles Hanel, a very lovable Aldo. Joan End did a good job of alienating us in her portrayal of Paola; her husband Fabio, played by Gregory Valentine, made me feel drained and resigned when the demands of life become too much for him. Overall, all the characters were quite well developed and portrayed. Each elicited our pity and/or sympathy. The cellist, Alicia Storin, provided beautiful transitional music between scenes. Check it out. It will lead to a fruitful discussion. 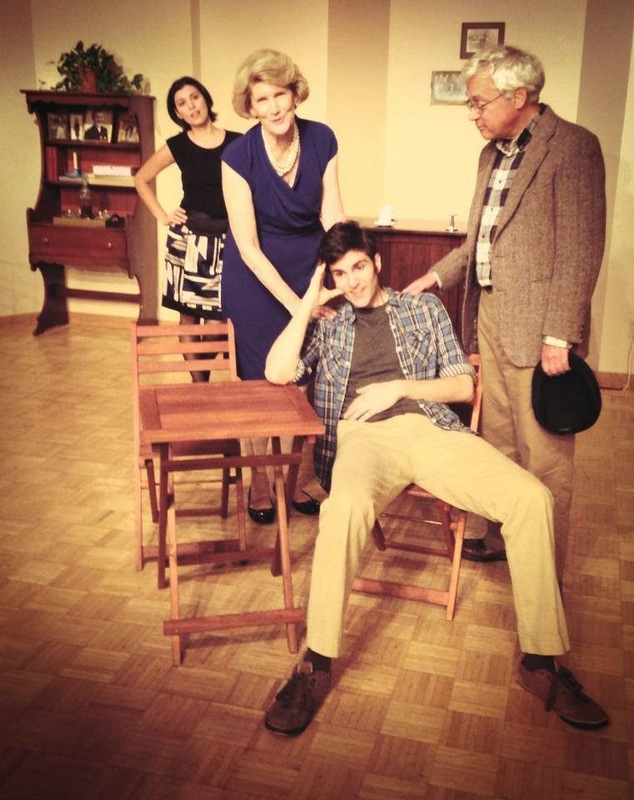 “Identita,” directed by Carol Zippel, runs two more weekends in The Village Church on Juneau and Edison (one block east of Water Street) in Milwaukee. Windfall is always worth a visit. Call414-332-3963 or visit Brown Paper Tickets for times and tickets.